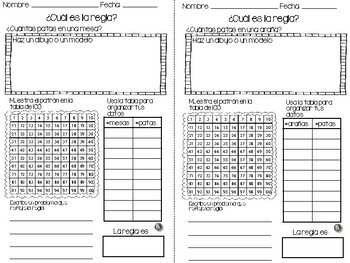 Es un conjunto de actividades para imprimir donde los estudiantes pueden practicar sus patrones numéricos para buscar la regla y utilizarla para crear sus propios problemas razonados. 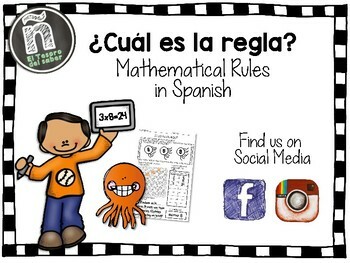 This set of worksheets includes 24 different problems in Spanish for students to find the rule in a numeric pattern. 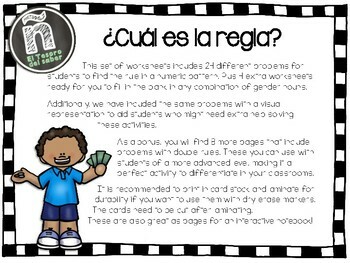 In two different sets to differentiate your lessons, with and without visual aid. That's 48 total problems! Plus 4 extra worksheets ready for you to fill in the blank in any combination of gender nouns. Also, as a bonus you get 8 more problems to target the gifted and talented students. Aligned with Common Core for 3rd grade. It is recommended to print in card stock and laminate for durability. The cards need to be cut after laminating. 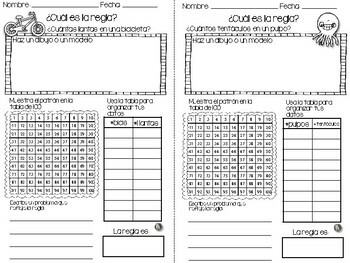 Or you can use it with your interactive notebooks!